See Your Box ltd.: FONDAZIONE CRT PARTNERSHIP HAS STARTED!!! Talenti Neolaureati goes live with a new entry in the team of SeeYourBox! Talenti Neolaureati Program is a scholarship, promoted by Fondazione CRT, that gives the opportunity to talented young people to integrate their studies with professional experiences, undertaking a period of training at institutions and partner companies, as SYB, both in Italy and abroad. 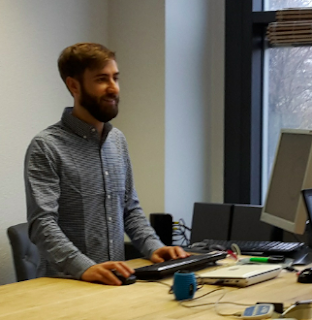 Roberto Gonella, who joins our team as a business developer, was selected through over 500 candidates. Roberto studied Economics and International Management at University of Turin and has several experiences in project management.